This tutorial will show you step by step how to back up your files in Windows 7, 8 and 10 using free backup software. What is the best way to backup your files? The best way to back up your files is to use multiple backup methods and create onsite and offsite backups. Onsite backups are stored on a local storage device, such as an external hard drive, USB flash drive, or DVD. Offsite backups are stored on an online server, such as a cloud storage service (e.g., Google Drive, OneDrive or Dropbox) or an online backup service (e.g., BackBlaze or Carbonite). 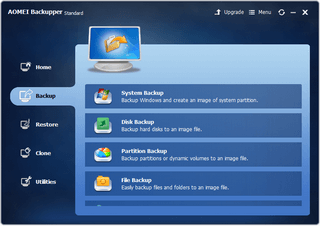 What is the best free file backup software for Windows 7, 8, and 10? To be honest, I can not say which free file backup programs are the best, because I haven't tried all free backup programs. But I can tell you that AOMEI Backupper Standard is a really good free backup program. Why is it important to back up your data (files)? You should always back up your important data to prevent losing your data. Hardware failure: Your data can be corrupted or wiped out by a hardware problem (computer or hard drive). Theft: Someone can steal your computer. Mistake: You can accidentally delete a file. Ransomware: This type of malware can block access to your data by encrypting it. Disaster: Your computer can be destroyed by a tornado, tsunami, flood or in a fire. Software malfunction: Your data can be corrupted or wiped out by a software malfunction. Malware: Malware (e.g., computer virus) can destroy or damage your data. That's why it is important to back up your data (files). That's why we need to back up our data. A data backup is a copy and archive of computer data that can be used to restore the original data after a data loss event. A full backup makes a copy of all selected data. It's the starting point for all other backups and contains all the data in the folders and files that are selected to be backed up. An incremental backup makes a copy of the data that has changed since the last backup, whether it was a full backup or an incremental backup. A differential backup makes a copy of the data that has changed or been added since the last full backup. A differential backup makes a copy of the data that has changed or been added since the last full backup and an incremental backup makes a copy of the data that has changed since the last backup, whether it was a full backup or an incremental backup. Each differential backup will be larger than the last differential backup and to restore your data you will only need the full backup and the latest differential backup. Incremental backups are smaller, but to restore your data you will need the full backup and all incremental backups, which will take longer to restore your data. 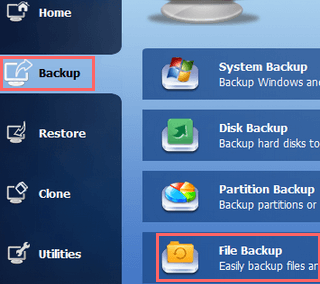 AOMEI Backupper Standard is a free backup program that can be used to back up files and folders, hard drives, and even a system partition. The program's interface is so user-friendly that even beginners will have their system and data backed up in no time. I like the simplicity of the program and use it daily to back up my data. You can download AOMEI Backupper Standard here. If you want to back up multiple files, then it's a good idea to place all your files in a folder (with maybe subfolders). If you want to back up your files to an external hard drive or USB flash drive, then it's a good idea to first assign a permanent (static) drive letter to that drive. This can cause problems with backup tools because these tools require the same drive letter every time. That's why it's a good idea to first assign a permanent drive letter to the external hard drive or USB flash drive you want to use to back up your files. 1. Insert the external hard drive or USB flash drive into your PC. 2. Open Windows Disk Management. Press the [Windows] + [R] key on your keyboard to open a Run dialog, then type diskmgmt.msc and press Enter, or click on OK.
On Windows 10; Right-click on the start menu button and then click on Disk Management. On Windows 7, 8, and 10; Open Control Panel, click on System and Security, click on Administrative Tools, double-click on Computer Management and then click on Disk Management located in the left panel (under Storage). 3. 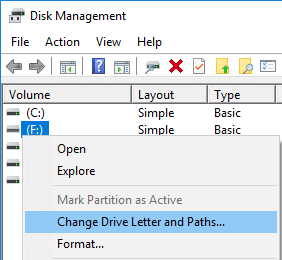 Right-click the USB drive to which you want to assign a persistent drive letter and then click Change Drive Letter and Paths. Now you will get the following warning Some programs that rely on drive letters might not run correctly. Do you want to continue?. You will first need to create a full backup and when you add, delete or change files, then you can update your backup by creating an incremental or differential backup. Note: If you want to back up to an external hard drive, USB flash drive, CD or DVD, then connect the device to your PC or insert the disc into the CD/DVD station of your PC. 1. Open AOMEI Backupper Standard. 2. Click on Backup located in the left menu. 3. Click on File Backup. 4. At Task Name, you can enter a name for your backup. 5. Click on Add File or Add Folder. As an example, I will use Add Folder, because I think that most people will want to back up multiple files at once and then it will be a good idea to place all files in a folder (with maybe subfolders). 6. When the select folder dialog appears, you click on the Browse button. 7. Select the folder you want to back up and click on Open. 8. 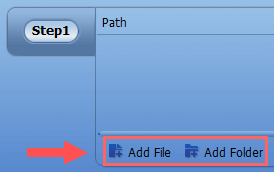 If the folder contains subfolders, then check the box located next to Include subfolders. 10. Click on Step 2. 11. Select the location where you want to save your backup. This can be a location on your PC, or an external hard drive, USB flash drive, CD or DVD, or even a NAS network location. 12. When you're ready, you click on the Start Backup button. AOMEI Backupper Standard will now back up your files. This may take a few seconds or minutes. The time it takes depends on the size of your backup. Tip: When the backup process is running, you can check the box located next to the Check backup integrity on completion option to make sure the backup image is valid for restore. 13. When the backup is finished, you click on the Finish button. Your backup will appear on the home screen of AOMEI Backupper Standard so that you can easily and quickly manage your backup. If you've added, deleted or changed files, then you can update your backup by creating an incremental or differential backup. Note: If your backup is stored on an external hard drive, USB flash drive, CD or DVD, then connect the device to your PC or insert the disc into the CD/DVD station of your PC. On the Home screen, you will see the backup(s) you've made with AOMEI Backupper Standard and here you can manage your backup(s). 2. Go with your mouse cursor (pointer) on the backup you want to update. 3. 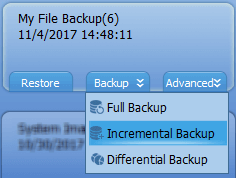 Click on the Backup button and choose Incremental Backup or Differential Backup. What is the difference between an incremental backup and a differential backup?. I make an incremental backup every evening, and a full backup once a month. 4. A small Comments dialog will appear and here you can enter a comment if you want. 5. When you're ready, you click on the Start Backup button. 6. When the backup is finished, you click on the Finish button.